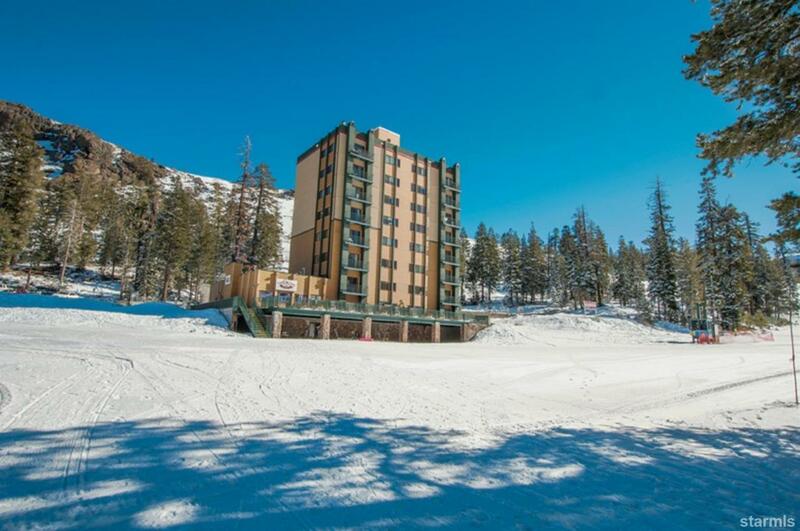 Best location for ski-in/ski-out at Kirkwood Mountain Resort! Spacious on mountain, 1 bedroom, 1 bath nestled at the foot of Red Cliffs. Perched above the village with 3 ski-lifts below. Boundless panoramic views with front row location. The condo is an airy 960 sq. ft., great room concept and currently accommodates up to 5 guests easily. Views of the beautiful surrounding mountains and the slopes. Fully equipped gourmet kitchen, just bring food. Ground floor condo and ADA accessible. Reserved parking. The Whiskey Tower sits and the base of Whiskey Run, which can be accessed skiing down towards Red Cliffs once you get off Chair 2. These residences offer the resort's highest accommodations, towering up to eight stories over the valley floor. Whiskey Towers offers a large communal deck that many people enjoy while eating, socializing, and relaxing in between runs and after their day on the hill. Sitting slope side, this lofty property offers some of Kirkwood's best views.